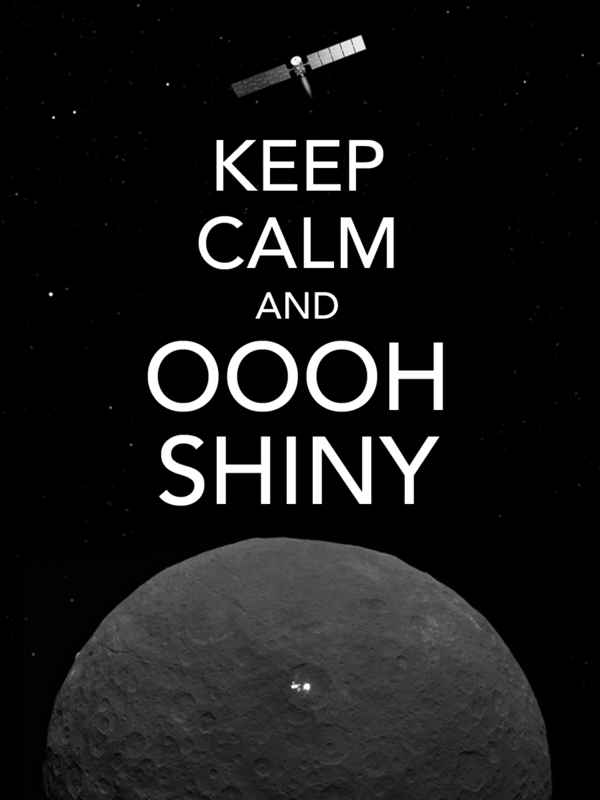 Mysterious bright spots on Ceres continue to stump scientists. Credits: NASA/JPL-Caltech/UCLA/MPS/DLR/IDA. Ok that was a bad pun for a headline but this IS the best image yet from NASA’s Dawn spacecraft of the curious bright spots on the dwarf planet Ceres, which have been puzzled over by scientists since they were first spotted in Hubble observations in Dec. 2003. 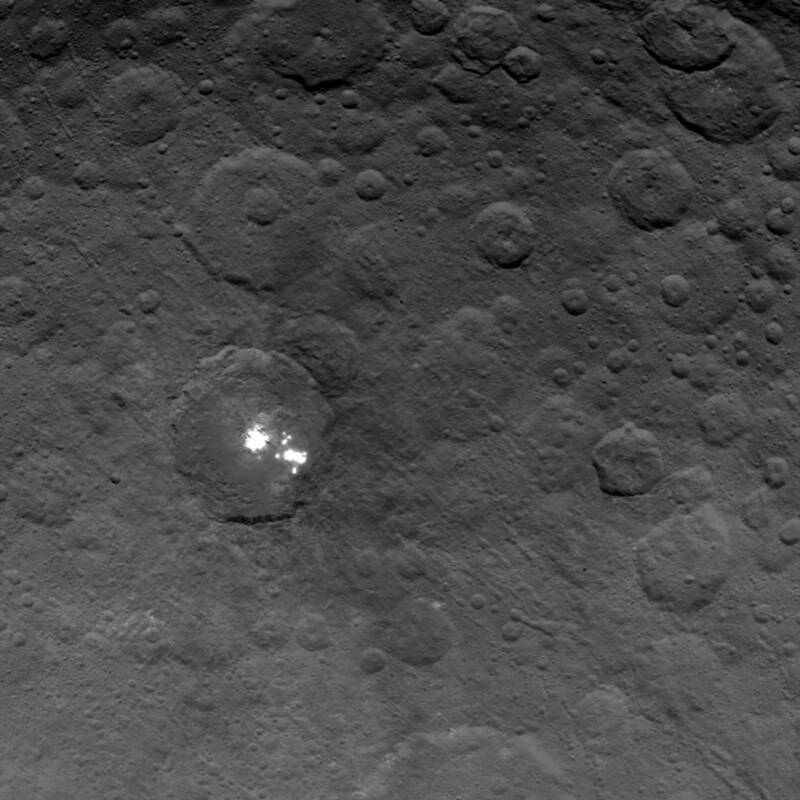 And even with this incredible new view of the spots, acquired by Dawn on June 6, their precise nature is still a mystery. Pretty much the only thing that scientists are quite sure about is that the spots are reflective, and not generating their own light. “Dawn scientists can now conclude that the intense brightness of these spots is due to the reflection of sunlight by highly reflective material on the surface, possibly ice,” Russell said in an earlier statement. Do you have an idea what the spots are? Send your vote to NASA. Next Post Infographic: Why Would We Mine the Moon? How awesome would it be if it turns out to be a crashed alien Von Neumann probe? Fermi’s Paradox finally resolved. Or maybe something like the 2001 monolith placed in a very obvious but technologically difficult spot to reach? Sadly, I’m pretty sure it’ll be something much more mundane, and we’ll continue to wonder if we’re the only ones — at least in this galaxy. It looks like a bubble in the picture, but not in the video. Why does it not reflect light until towards the outer edge of the light?